Question: How not to be “special”? “Meditation makes you strong like a mountain, you become awake, strong, and humble too. This strength does not bring any Ego in you, because you become aware that the same witnessing soul exists in everybody, even in animals, birds, plants, rocks. How in a deeper way one can come to this realization that has been described in the above paragraph, considering yourself as nothing special even in front of a rock? Have you observed rocks and pebbles? It is Ahnanda’s experience that they have a level of consciousness, but probably you have not experienced that, or you wouldn’t be asking this question. The words in that paragraph about meditation are merely pointers. “Meditation” is a word with so many meanings. You cannot become what has been described in that paragraph. That is someone else’s experience. Do you want to consider yourself as nothing special? You cannot BE what you ARE not. But you can fake it. Do you see the uniqueness of all? What makes something from unique into special? Your particular value system. Your needs. Your conditioning. Your attachments. Enjoy the farce, but discover it in yourself. That is where everything starts and finish. That is “my” viewpoint. I know that you are able to grasp what I am trying to convey without quoting me, without using these words as the “ultimate truth.” They are not. 1. Visualize for 2 minutes that you are a pebble in the street. 2. Meditate 15 minutes every day on your own nothingness and then breathe deeply 3 times while pronouncing the “OM” mantra. 3. Do this for a 1 month without failure and you will see improvements. The rock on the street and you will be one. There will not be a difference between both of you. If you don’t get any results that is because you are not performing the exercises correctly. Do them again for another month. When you are “up” in a roller coaster ride, it is sure that you will go “down.” Otherwise, you wouldn’t have the complete experience. So it is in Life. It is a game. Self-discovery is not a method. It is a process of unfolding what is “there,” to the point where “that” is no longer there. Nothing. At that instant, we are everything. As long as it is needed. The game is to go from one extreme of the range of experiences into the other, just to come back again. Let us believe in a God. Let us worship Him. Let us seek His favors. Let us be the “chosen” ones. If you are a rebel, if you don’t want to believe in a savior, then you will believe in yourself. Again, the same trap of the “I.” Destiny is solely in “my” hands, “I” make choices, “I” want to become better, “I” want, desire, need… My Life is about fulfilling those needs/wants/whims, etc. Let me worship with others, sing “halleluiah” and read the holy books about my savior. “I am” safe. Perhaps at some time in our path, we may want to stop believing about someone or myself and engaging our awareness into that which we call the “I.” That is a different consciousness. 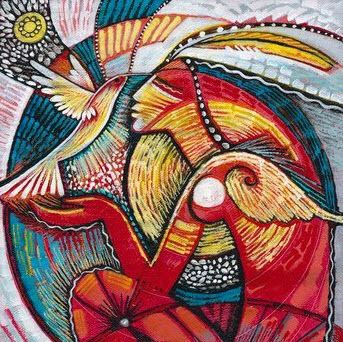 Seekers who are experiencing this stage, will usually talk about “the world being a mirror of the self,” everything goes back to “me.” Every event happens so I can know myself, etc. It is a “Me” world. That is the time for healing emotions, discarding beliefs, separating from the world, just to come back to it. Then perhaps, we could experience that this “I” is not a static thing. It is changing. Thus, an emotion felt is not “me” but it was “me” at one point in time. The attachment to a perception of what “I” think is true, right, reality, perfection, moral, etc. 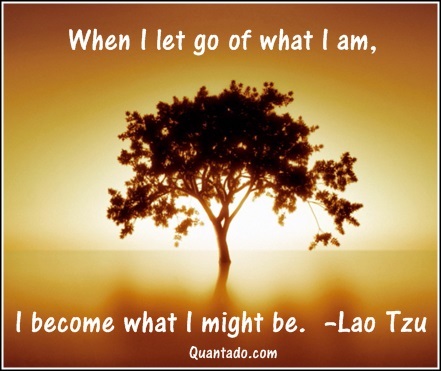 is not allowing the static “image” of that “I,” what “I” believe to be myself, to move on. Everyone of us, is not who we think we are… however, we hold on to the idea, the mental paradigm which gives Life to the “same old thing” under all circumstances. It is there, Yes. But at the same time, it does not exist. When our consciousness is taken away from the rainbow, what is left? Everything… the whole day and light including that rainbow which is there although we cannot see it. Where God could be then, when there is no “I”? Where is the healing of the “I” if there is no “I”? Where is “spirituality” when there is no “I”? Everything has a new meaning. New words with new meanings. At that instant we are Oneness. We are the Totality… when we are everything, what is lacking then? From the book: “Jitterbug Perfume,” by Tom Robbins, page 75. In my “Yoga book club,” we are reading that book. – Don’t want pain/suffering, then avoid pleasure. – Pleasure takes you away from God. Pleasure takes you away from more important things in Life like going to heaven, becoming perfect, becoming an example for humanity. The above “teaching” is a misunderstood “teaching” practiced by a follower of a religion or philosophy. In Life there is nothing which needs to be accomplished unless we believe so. The void, the nothingness of the Lamas is not something to achieve…. if we try to achieve it, it is false, it is artificial, it is just an ideal, a belief. What are we going to achieve? Obviously, our idea of illumination, void, nothingness, God, etc. How are we going to achieve it? We believe, by following a method taught by someone. That is dishonesty behind our logical statements and reasoning. Once we “walk our talk” then we will know better. Not before. Before it is just about ideas, beliefs, inner lies, dishonesty. A state of consciousness arrives as a consequence of the assimilation of previous experiences. There is no particular experience which is the “One” changing our state of consciousness but there is an experience that will be the catalyst, the trigger for the on-going manifestation. A song is not just the last note being played by a pianist but a succession of different notes. The last note only indicates the end of the song. Whenever I share “consciousness changes all by itself,” that typically creates some deep frowning in some. Which meditation? Your style of meditation? Can you decide the experiences that you will have in meditation or they just happen? How can you say that meditation changes consciousness then, if “you” do not have control over it? How can a method be created then for “everyone” to follow? Why so many forms of meditation and so many different results? Life brings experiences. All experiences have a reason to be. The idea of forgetting about this world in pursuit of something else in the future, whether that is Paradise, Nirvana, Eternal Life or whatever glorified label may be, will not allow us to be truly honest. 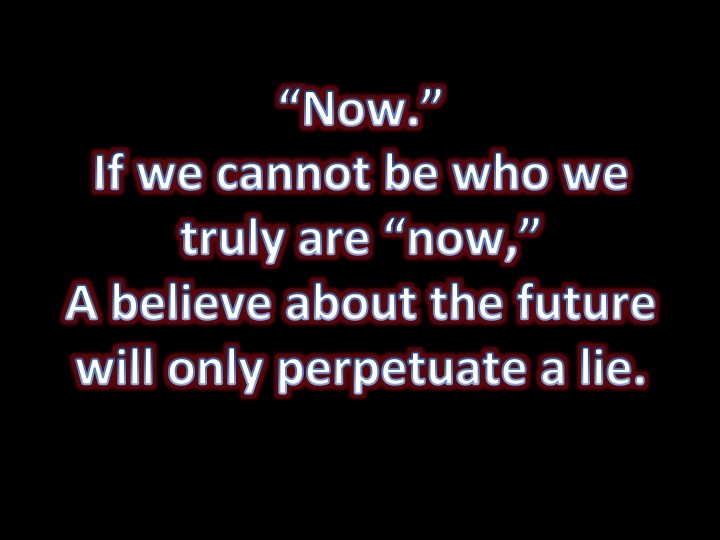 Because we cannot live the “now,” we cannot be 100% in the “now” if the “future” is most important. Something to muse about. What about goals? Aren’t those in the future? When the drop of the Ocean asks: who am “I”? That is the beginning of intellectual deceit. It is obvious that this drop of water is the Ocean itself, but some sort of myopia of consciousness takes over. The drop of water beliefs to be something else. “I think therefore, I exist.” That becomes the law of certainty as being something different, something special, something divine as if everything else wasn’t that special or divine. A: Do we see that a question such as “who I am” is only strengthening that idea that “I am” a drop of water? Do we see that any definition of “who I am” is limiting through limiting words and never accurate? All those different things that Avyakt7 mentioned that “I am” range from a something to nothing, to everything… according to Avyakt7’s consciousness. For instance, If someone believes “I am a soul.” That is a great belief! Now, let me ask: What actually that means? For some it will be about denying everything that “I am not” to find “who I am”…that soul. But how that drop of the Ocean will find what “it is not,” when it is the Ocean itself? 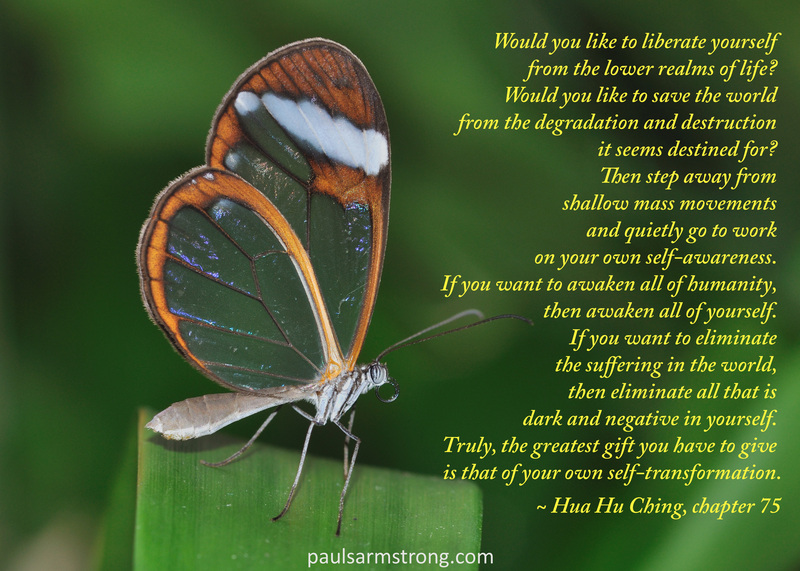 How denying something about himself will bring that person into the Totality, which means a different consciousness? The above is a pretty deep explanation. Hopefully clear as well. If Avyakt7 dares to say something by adding more words to define “that,” Avyakt7 will be lying more and more by being away from what it is, through fancy words. Q: So everything that you said before was a lie!! If it was that way, then everyone will be “illuminated” by now. “I am a soul” so… what? Is that another belief or an experience? If it is an experience, how come your consciousness is the same as any other person who does not know that “he is a soul”? Many seekers in the past have shared their experience through words. Those words may have been seen as contradictory through time. (He said this before and now he is saying the opposite.) Followers who do not have an experience of those words, will be only concerned in making sure that everything that person has said from the beginning is “consistent” so the “dogma” looks the same. Nevertheless, those followers do not realize that those honest seekers, were merely sharing their own discoveries through limited words, and those discoveries will change as his own consciousness change. To discover means to change. Anyone who takes these words literally so he looks “educated” when he talks to another person about Spirituality, is not truly a seeker. That person is only concerned in concepts and dogma. Mathias; the wise tree, was “humanly happy” to see his friend Ananda open to life and enjoying the experience of living. Life is a precious experience to share with “everything” and “everyone,” from dawn to sunset and beyond… From listening to the morning orchestra of birds, to hearing the human sounds and voices throughout the day…. Life is consciousness. Everything is consciousness, although there are different degrees of it. Mathias: Once your consciousness is open to life, there is joy, enjoyment. Nevertheless, there is still a division. There is “you” and everything else. Ananda: Friend is voidness or emptiness necessary for that integration? Ananda: I will definitely be open to that experience. The paradox could be “Oneness through nothingness.” Nevertheless, I could not pinpoint how that openness comes. What is the point when someone experiences this openness? Mathias: As you remember, Mathias mentioned at one time that growth happens through suffering. Mathias could give you a different answer. Mathias could tell you that this happens because of a particular practice or a particular clothing that you wear; but no…. Ananda: But… many people experience great suffering and still there is no openness in them…what I could see is bitterness instead. Why is that? Mathias: In that state there is no desire. What are you going to desire if you are everything at the same time? Greater openness to life happens according to your consciousness and… according to time. Ananda: Perhaps this integration with the Totality is what some religions call as” Being one with the Father” or “merged with God.” Their consciousness may be unable to see that God is part of that Totality as well, but they are only able to see separation: “Me and God alone,” as if the rest was something different, something foreigner… when “God consciousness” is perhaps the greatest integration there is. Mathias: Friend, are you ready for integration? Ananda: Yes, my friend… although I have no idea how this could be. Mathias: Do you remember the ball bearings in a roller skate? One ball bearing cannot find its true purpose until that ball bearing realizes that there are more ball bearings needed to move a wheel in the roller skate… Once that ball bearing realizes about being part of the roller skate, then we could say that the consciousness of that ball bearing has opened… but oh!! All of the sudden the ball bearing realizes that there is a foot in top of the roller skate and with that obviously there is a different consciousness…greater opening my friend, new realizations! Ananda went to the Ocean after this conversation. As he was looking at the dance performed by the waves of the Ocean, the coming and going accompanied by the soothing sound of the water hitting the shore and the nearby rocks and shells; there was a profound relaxation felt when there was no thought about “me” remaining. At that moment, he “understood” what is meditation beyond a discipline or a ” 20 minutes practice,” and he “understood” what is peace without thinking about it. An empty self can contain the whole while being empty. 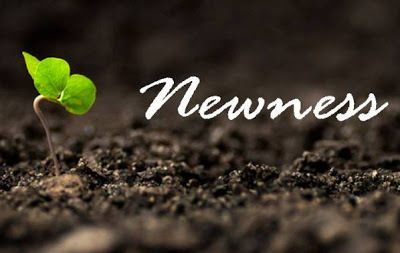 A reader requested an article on “newness.” That is a great topic to get involved with. At the same time, the “thought” for today was “nothingness,” which unexpectedly brought an unusual realization. The word “nothingness” is usually not well understood in a culture when being “something” is taught and believed. Being “nothing,” is taught by spiritual teachers with different words. That is why a “child is more elevated than a “mahatma”,” because a child is closer to God’s nature. “I” am a doctor. “I” have 3 cars a house with a Jacuzzi in a very selective neighborhood, a beautiful wife a dog and 4 kittens ;” or the ego of having “nothing,” as in: ”I” only possess a set of clothes and my bowl to beg for food. “I” don’t have anything. See how that pristine “nothingness” disappears by creating “something” to be, an individual. The same happens when in relationship with “others.” If “I” am a movie star, then everyone around me will make me believe that “I” am “special.” If “I” am in a work setting when no one cares for my input, then “I” believe that “I” am not worthy. That is how we believe to be of a particular “social status.” According to that belief, we will put an environment around us. That environment is not real, it does not exist but only in our minds. Skin color, accent, religious beliefs, handicaps, education, sexual orientation, age, etc. Please see that the “ideal” of a young, wise, loving, saint millionaire who looks like a movie star; does not exist; however, our ideal drives our behavior and “efforts” to “be” that. Newness is always in being nothing. When “I” am nothing; then “I” could be merged with that changing world as a baby does; there is always “newness” for a baby. There is no baby who is “bored to death” of the same old thing. Boredom appears when “something” (a personality) arises with their own expectations and desires. Being “nothing” is sometimes referred to as being empty; that is “empty” of content, which brings usefulness to “everything,” the world. Spirituality has different levels of consciousness and understanding. The above text succinctly explains about a different level of consciousness. Whereas in most religions and philosophies, the existence of the “other” is a fact of life, something that we can experience as a difference between “me” and someone else; in the experience of the inner being such differences do not exist simply because we are in everything else. That is interbeingness. “Me” can only exist in relationship, never by itself. That is an illusion. Nevertheless, religions and “good intentions” talk about being “good” to one another. To “do good,” to be “tolerant” to another, etc. They are not wrong, for their aim is for a particular kind of consciousness. If you are out of that consciousness, then that teaching is no longer for you. When we get out of this “I-ness” and really look how illusory that idea of individuality is, then we can see further. Just because we have separation through bodies, that does not mean that the energy which makes everything “tick” in the Universe is not in all of us at the same time. We can call that “soul” but a “soul” is nothing without relationship, without interbeingness. There is consciousness which manifests in different forms through different “individuals” but all of that perceived difference is necessary for the Universe to change, to transform in its eternal game of duality, of going from one side of the horizon of life to the other extreme, just to come back where it was before. The above is not to be understood by the mind, but it is to be experienced. The form and formless are 2 sides of the same coin which has no name. Two manifestations of the same thing. It is the mystery of life. To be a “highly evolved” being means nothing when there is no “other” to compare to. To make ourselves understood through the duality of words, there is a need to write through comparison. When something is written or spoken, it cannot be the whole truth. 🙂 Thus, we need to find it in ourselves.